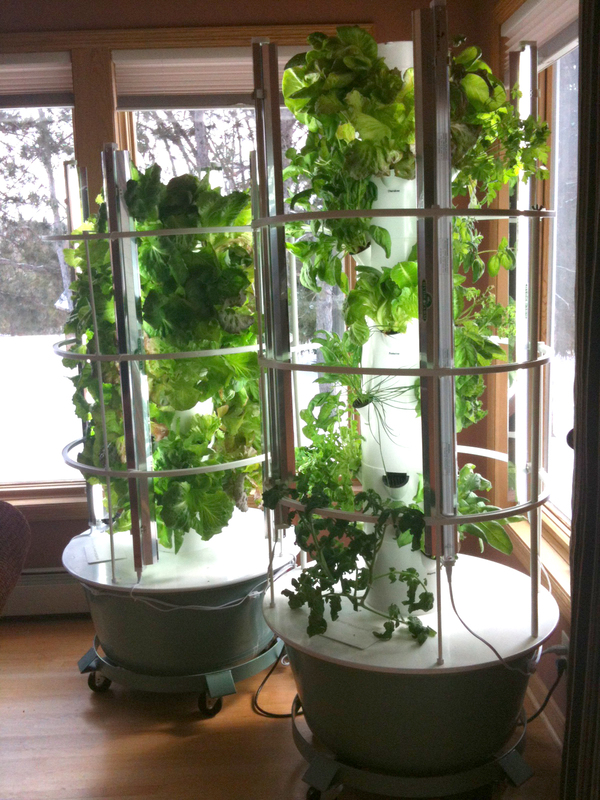 Although this has nothing to do with Esthetics or Beauty, I cannot resist writing about my latest obsession, my TowerGarden. Gardening is always something that I desperately WANT to do every summer but have a difficult time finding the actual time to get it accomplished. Between the tilling and weeding and planting and watering and feeding, well, it’s like having another child or a new pet. As a gal with 3 kids and a thriving business, finding the time to do this has simply been impossible the last few years. I said to my husband at the beginning of this summer “I wish there was a garden that I didn’t have to weed, water or till to create it” and he told me there was a gal in one of his network groups that sold just such a thing. So we set off to see her TowerGardens (she actually has 3 beautiful ones on her deck). Well needless to say, I was amazed. These gorgeous standing gardens self-feed and water themselves (they literally have timers that turn it all on and off by command) and create amazing organic gardens out of the reach of most critters and with no messy soil or weeding. This was certainly the answer. It can actually come indoors in the winter and you can continue your garden regardless of season! What Can You Grow In The TowerGarden? I think the better question on this is what CAN’T you grow in the TowerGarden. Really the only things you can’t grow in it are root vegetables and tree fruits, the rest is available. 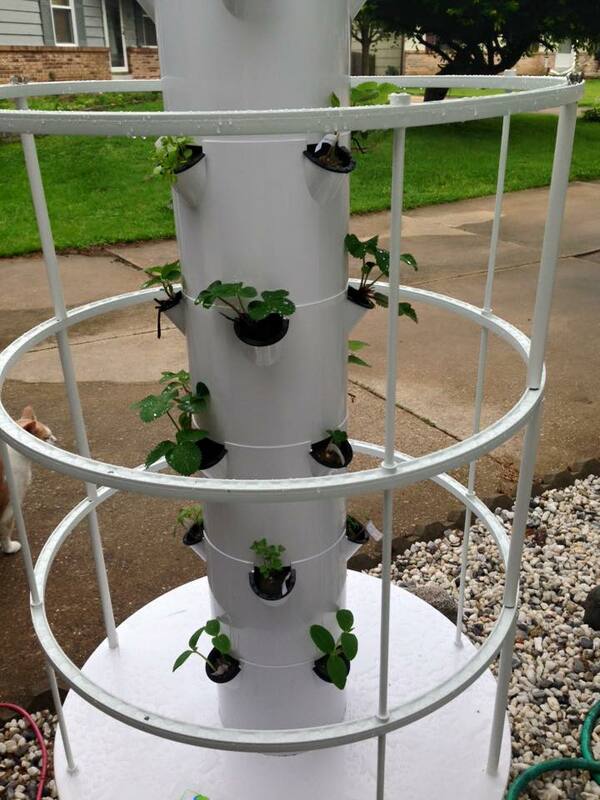 For a complete list of things you can grow, check it out at the TowerGarden website. How Is My Garden Growing? 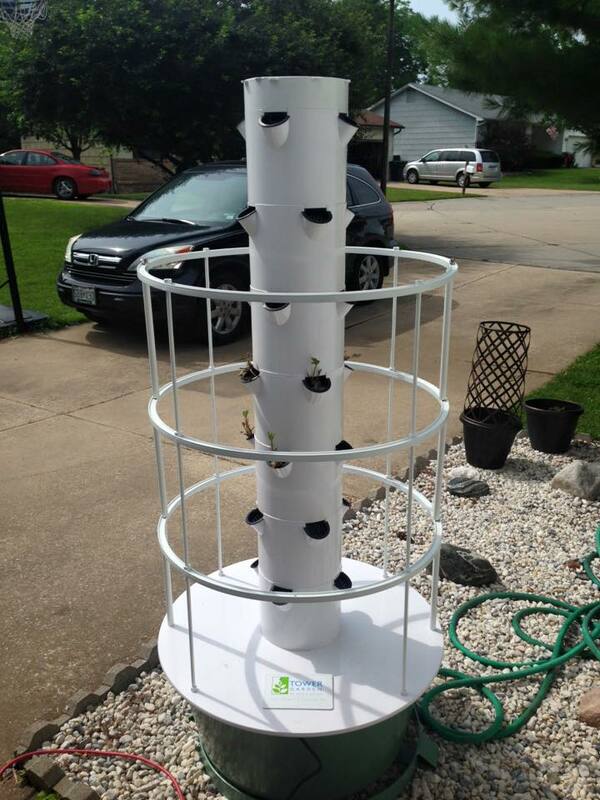 On Father’s Day we finally found the time to assemble and begin our own TowerGarden project. So now we are just a few weeks into the process. I purchased some pre-started Strawberry plants and a bunch of seeds for other growing the week we ordered our TowerGarden. 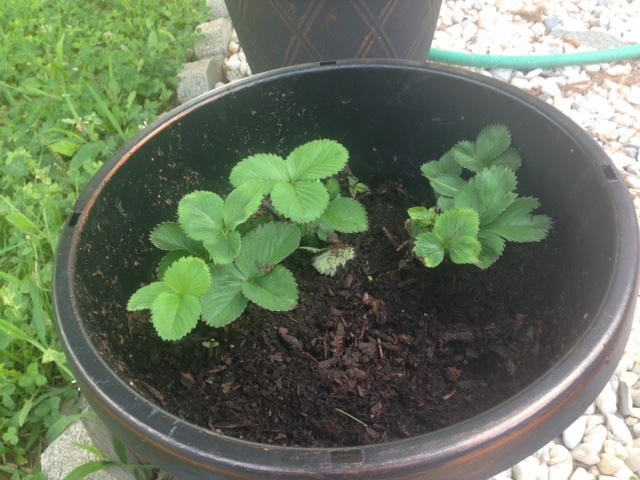 I thought it would be interesting to plant some of the strawberries in a pot so we could do a side-by-side of the TowerGarden plants versus the traditional ones. Here’s where we are so far. 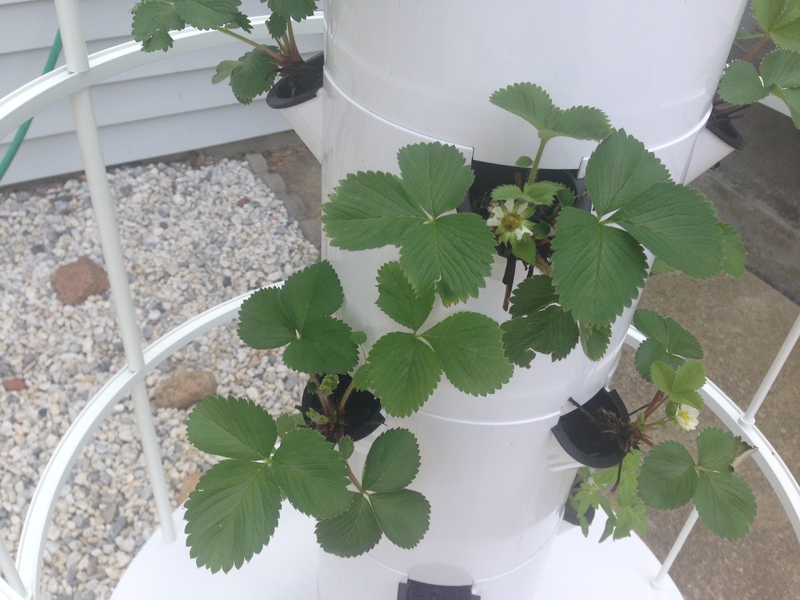 Planted strawberries in pot and in TowerGarden, planted seeds in the provided seed growing system. Just 10 days in we were able to transfer most of the seedlings into the TowerGarden, the strawberries were growing extremely well already. 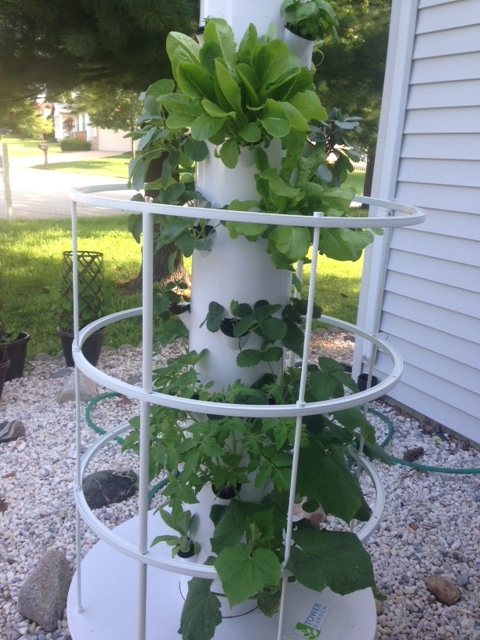 I can’t stop looking at the TowerGarden, I cannot believe how quickly everything is growing. We already have flower blossoms on the strawberry plants and the potted strawberries are not nearly as healthy as the TowerGarden plants! The TowerGarden is growing like CRAZY! I have all kinds of actual strawberries growing, the lettuce is nearly ready to harvest, the tomatoes and cucumbers and green beans are branching out toward the tomato cage. We decided to try to grow artichokes even though this is not the proper climate for them and they seem to be growing fantastically! Final assessment: This thing is amazing, I can’t wait to pluck my first fruit/vegetables from it and eat them with my family! If you want more information about it, I have a wonderful rep and I can put you in touch with her!